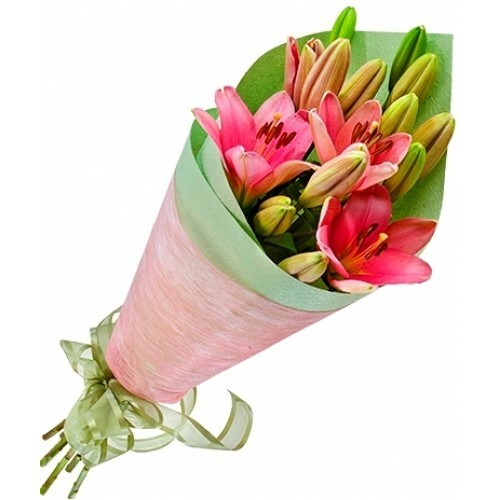 Beautiful bouquet of pink lilies expertly wrapped to provide graceful elegance. Lilies available in White, Yellow & Orange. If you like a different lily color from that shown in the picture, don't hesitate to specify the color you want in Special Instructions during Check Out.